I am always on the lookout with my kids for fun new snacks to try. We go through SO many of them, so I love to keep a good stock on hand that I can make quickly, but that taste good, and one that we all love, which is definitely hard to do with so many different tastes. 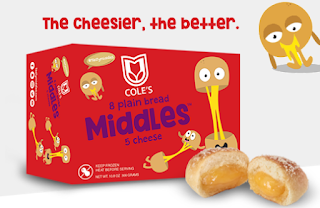 Recently, I was offered the chance to try Cole's Middles which are made by the company Cole's Breads which makes so many yummy frozen products like garlic bread and breadsticks. Of the three I tried, I definitely love the Salty Pretzel with Beer Cheese Filling the best! The pretzel is soft and warm, and the cheese is very cheddar tasting with a kick from the beer. I can't wait to buy them again! 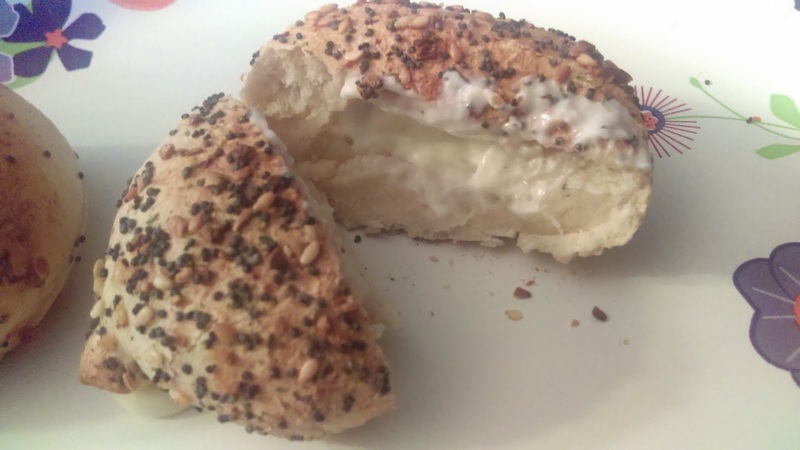 The kids all tried the Plain Bagel with Mac and Cheese Filling which they ate very quickly and asked for more, I thought the mac and cheese looked really good on the inside, and I did try it, and thought it was good, but for our family it is more kid friendly. We all also tried the Everything Bagel with Cream Cheese Filling and it was so good! The kids pretty much inhaled them, and I remember wanting more when they were gone. These feel like a treat you would get at a Starbucks or something, definitely not something you can make at home in under 10 minutes! 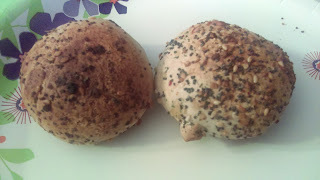 There are other flavors too like French Toast Bagel with Cream Cheese Filling which look delicious. I can't wait to try all the flavors! Be sure to follow Cole's on social media to keep up with the new products!